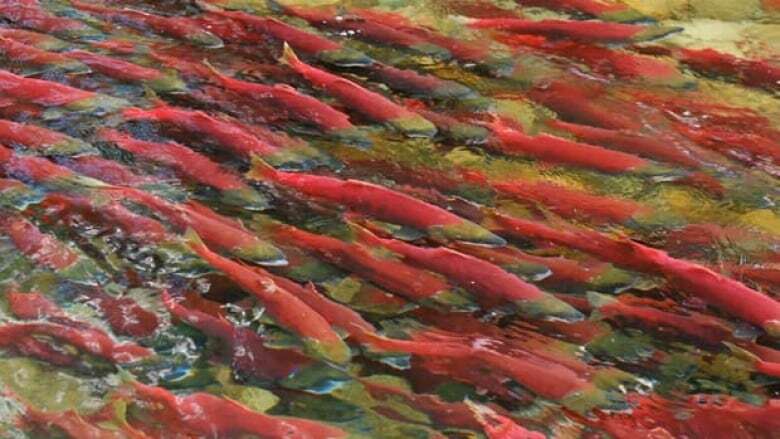 Sockeye salmon are migrating up B.C. 's Fraser River right now, but the water is so warm the fish may die before they have the chance to spawn. Sockeye salmon are on a mission up B.C. 's Fraser River right now, swimming "a marathon a day" to reach the gravel beds where they'll lay eggs for the next generation. 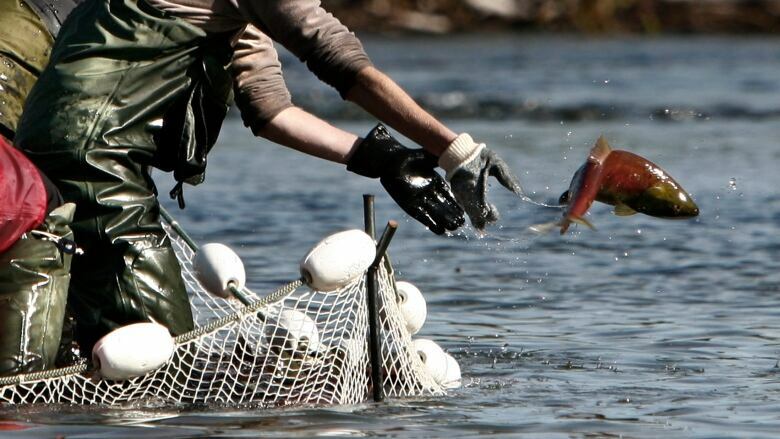 But the waters of the Fraser — historically one of the world's great salmon rivers — have been so warm this week, fisheries officials say the migrating sockeye are in danger of dying before they have a chance to spawn. Daily temperature monitoring by Fisheries and Oceans Canada shows the Fraser hitting 20.7 C near Hope, B.C., for some days this week. "It's very warm," said Mike Lapointe, chief biologist of the Pacific Salmon Commission. "A fish experiencing ... these kinds of temperatures, when they're migrating a marathon a day, it makes a big difference." As waters warm, every degree matters. At 18 C, the sockeye don't swim as well, according to Fisheries and Oceans Canada. Hit 19 C, they slow and show signs of physiological stress. Days of 20 C and higher lead to severe stress, with "high pre-spawn mortality," a major concern for the iconic West Coast species that has many populations already considered at risk. These aren't the highest temperatures the Fraser has ever seen, but they are well above the historical average, says Lapointe. And crucially, they're part of a warming pattern that doesn't look good for the fish. 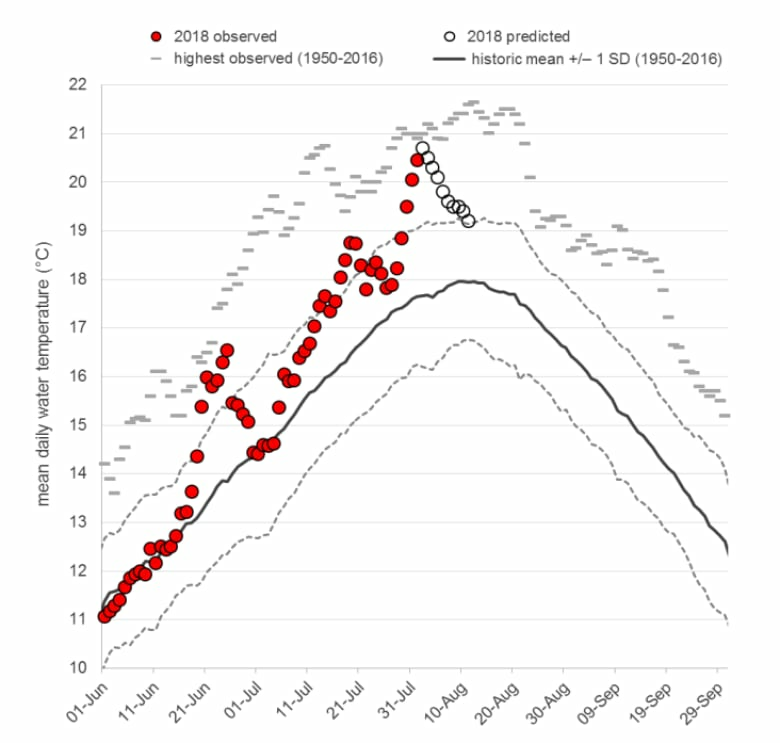 Decades ago, these kinds of temperature extremes didn't happen often or last long, said David Patterson, head of DFO's Environmental Watch program. From the 1950s to the 1980s, the Fraser would only average two days a year over 19 C.
In the past eight years, it's crossed that threshold an average of 22 days a year, said Patterson. Salmon are adaptable, but it's an open question for scientists how Fraser River sockeye will fare in a changing climate. "These fish are already at the southern end of [the sockeye's] range," said Lapointe, suggesting there may not be a lot of biological wiggle room when it comes to temperature. "They're adapted to warmer temperatures but not the kind of temperatures they're being exposed to now." Last week's heat wave saw record-breaking air temperatures along parts of the Fraser, including 41.4 C at Lytton, B.C. 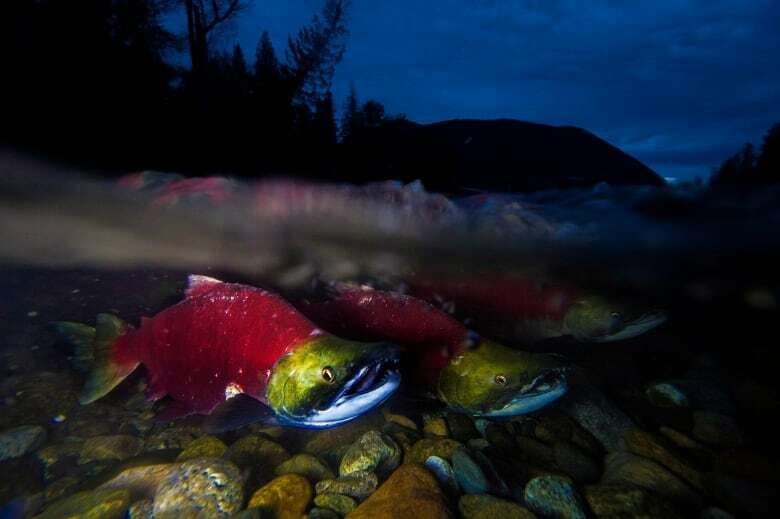 In the four-year life cycle of a Fraser River sockeye, 2018 is supposed to be one of the big years — where the river runs red with millions of fish. These are the "grandkids," so to speak, of the record-breaking 2010 run, so many eyes will be watching what happens to the 14 million sockeye expected to arrive. Most of those, including the famed Adams River run, are still to come later in the month. Historically, temperatures also peak in mid to late August, said Lapointe. "We've got another couple of weeks here where we're really going to have to watch carefully what's going on," he said. With heat warnings over for now in B.C., the 10-day forecast in the Fraser does give hope for cooler waters. But even then, temperatures are not dropping to a fish-friendly level, with the waters expected to stay above 19 C over that period.